Wooowww! It is hard to believe that it has been 10+ days since our last blog. Life on the road makes it hard to keep up on it as often as we would like. Sorry to keep you anxious readers waiting but the adventures have been chocked full, so enjoy! Breaking up for a night in Zihua was a good break for everyone. Bradie is off doing his thing with his girlfriend Diana in Oaxaca City and the Riviera Maya for three weeks, where we will meet up with him in Quetzltenago, Guatamala. Ike got to do his thing on the beach with our Aussie friends. Hen and I stayed at the Hostel Rincon del Viajero with the artist Malli Nalli. Our stay at the hostel was welcoming…We were the only guests staying that night, so we got the chance to just hang out with Malli and Esteban, an Argentinian traveler who is living and working in Mexico at the moment. Meeting back up in the morning with Ike was easier said than done. The meet up spot was easy, only 20 km down the road, but I was plagued with having to repair my tire 3 times in that 20 km. Finally, I just ended up replacing the tube when we met up with Ike. 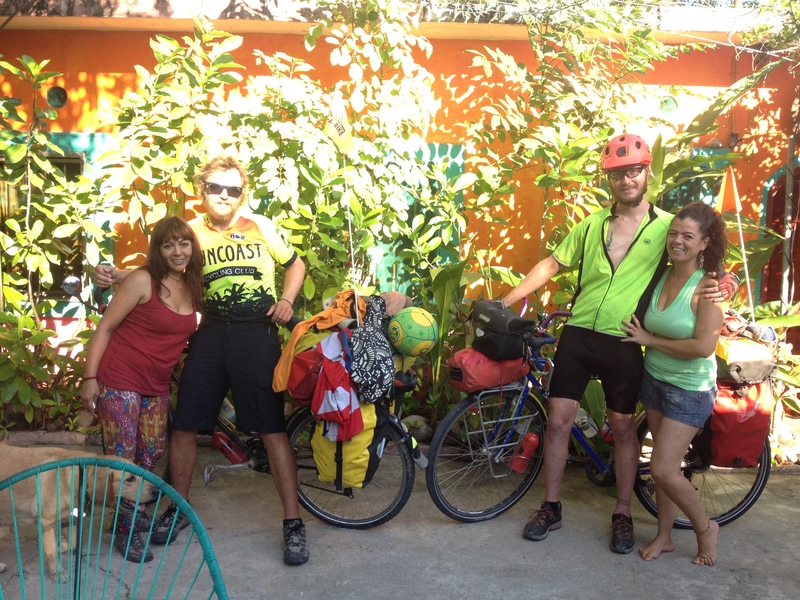 We parted ways with Pepe and Bren our Aussie friends and cruised the coastal road of Guerrero! The road was beautiful, lined with Coco trees to the left and ocean to the right! With the sun getting to that point in the sky when its time to start looking for camp, we made it to the beaches of the small town called Papanoa. We camped at a restaurant off the beach, which provided a grassy backyard, a nice break from the sand life! The next morning, we got on bikes, started cruising for the morning, then arrived at a small town where we took care of some errands and made some plans for the next coming days. 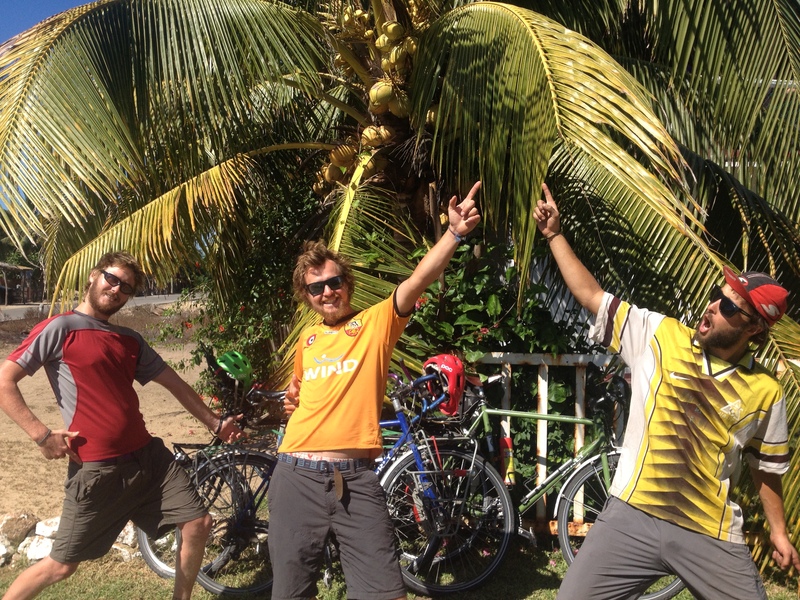 The biggest one being that we booked a hostel in Puerto Escondido for New Years! 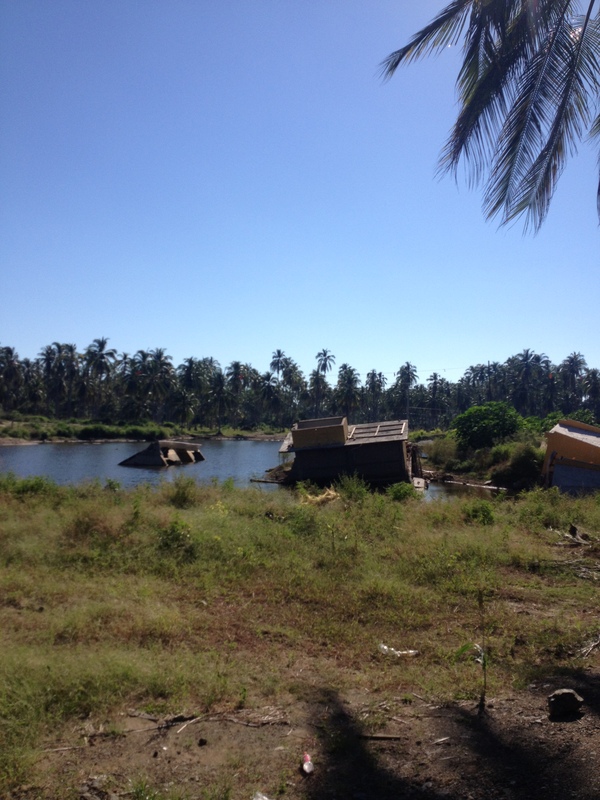 My favorite holiday of the year…After riding all day, we had plans to camp on the beach Playa Paraiso. When we got there and were blindsided to find out there was a laguna between us and the beach and would need to pay for a water taxi to get across. No worries, but to really throw a twist in the game, when we got to the other side of the beach, we saw 400+ tents and Mexican hippies, dreadies, rastas, and what have yous. Apparantly there was a reggae festival at the beach this weekend and it was also Friday, which was news for us. Awesome, we got a free festival for the night, hangin’ out with locals and checkin out a scene that reminds us of home. Tired from the night before, we got on the road and dug the coastal farmland that Guerrero has to offer. We spent the day creeping closer to Acapulco. We could tell that we were getting close based on the fact that traffic was higher and we could see the signs of Hurricane Miguel that came through this summer and wiped out the Acapulco region. 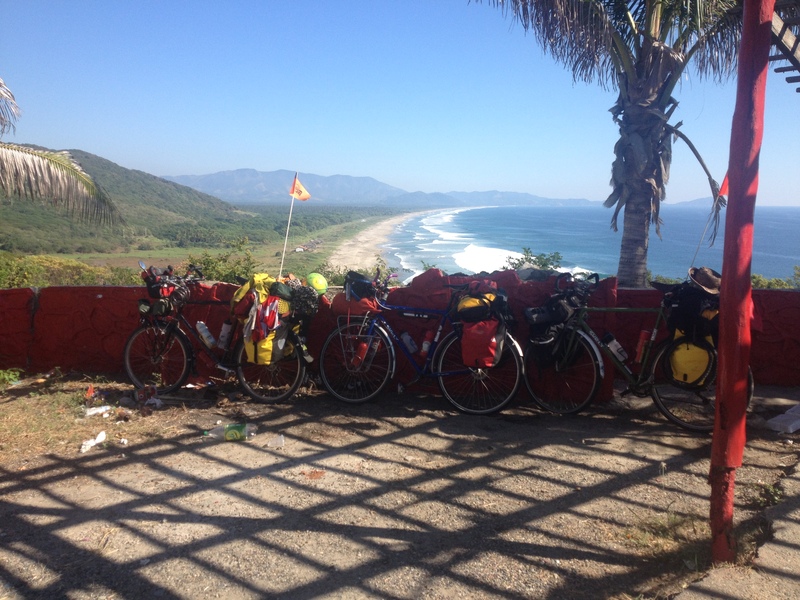 We camped out in the tiny town of Pie de la Cuesta, which is on the north side of Acapulco. 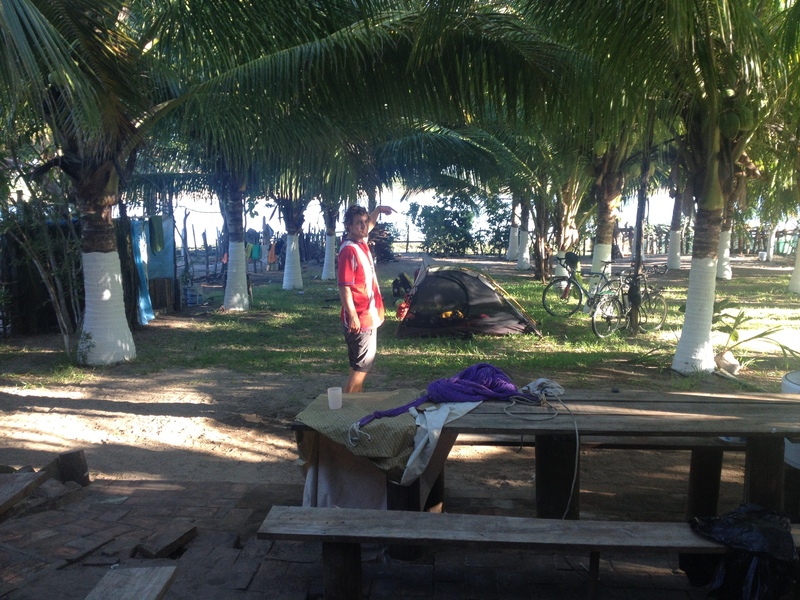 Camp was on the beach of a little Hacienda, more costly than we enjoy, but in relative terms, it was a cheap camp. Everyone rags on Acapulco, as it has been ravished by ongoing drug wars, Hurricanes and such. But we like to take everyone else’s opinion with a grain of salt. I try to form my own opinion on a place. 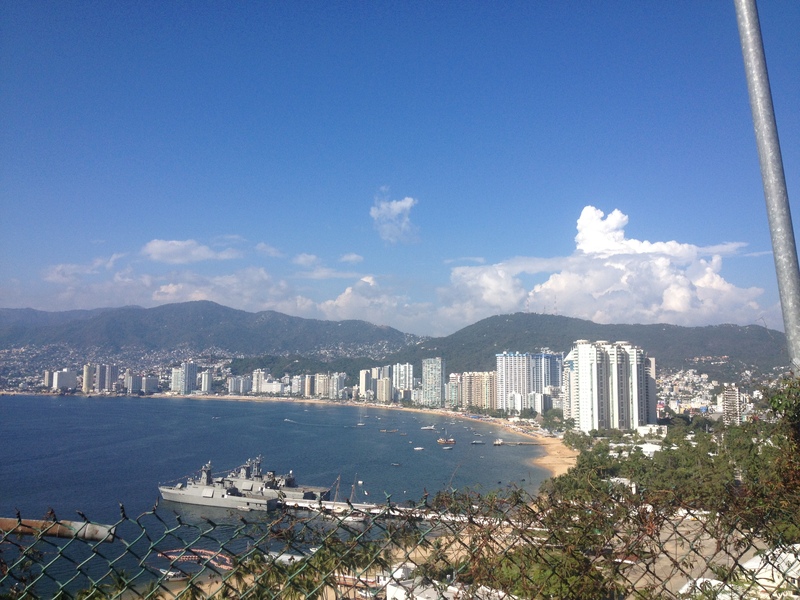 Acapulco is situated on a beautiful mountainous bay, where you need to climb in and out. 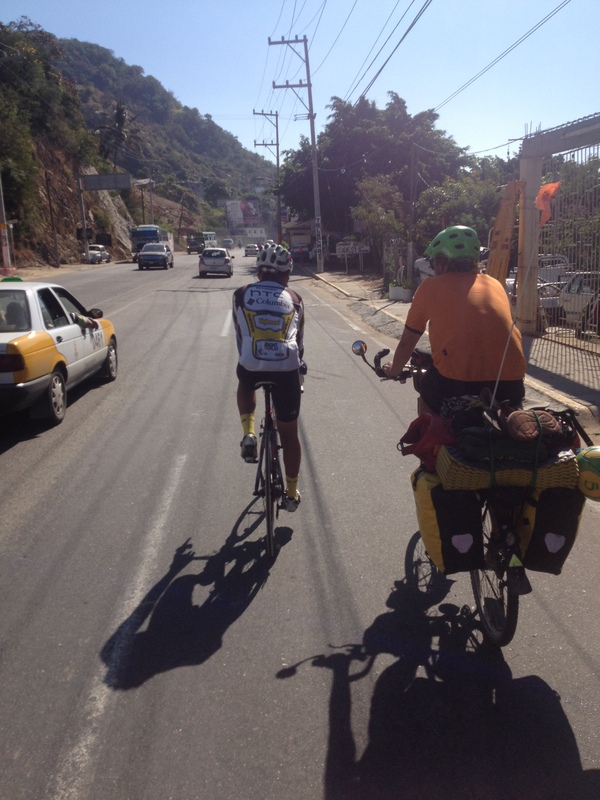 On our climb in, we met a ciclista named Carlos who was on a training ride. We were stoked on him and he was stoked on us…He offered to chauffeur us through the city and to the world famous cliff jumps in Acapulco. Hen and Ike wanted to jump, but it was closed for the day and would have to wait until mañana. Its always mañana but we didn’t have the time. 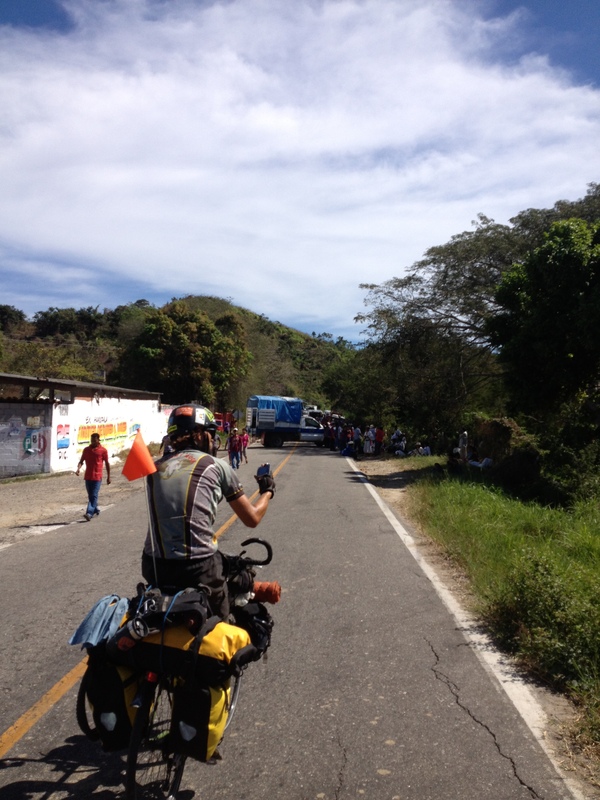 Acapulco was wild, traffic blazing left and right, and then up the hill climb. It was a wild, winding 4 km climb out of the city and then 5+ km down and even more wild downhill section. After we recovered from the insanity at the bottom of the hill, we all agreed that was the wildest hill we all have ever ridden! 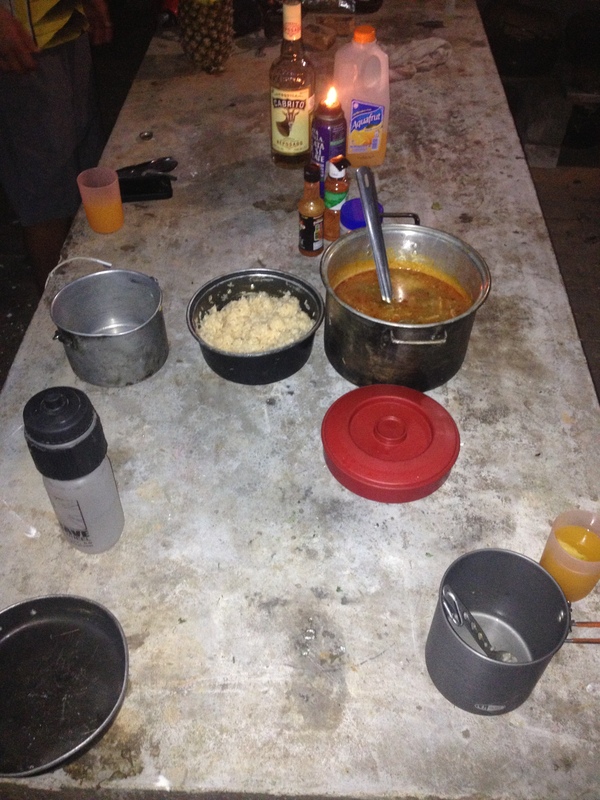 That night we asked a restaurant owner to stay in front of his establishment, thinking we would camp on the beach. Instead he offered us an open air loft on top of the restaurant. Again one more night of the sand! With 120+ km between us and our Christmas destination Playa Ventura, we smashed all day in order to be able to relax on Christmas eve and day! 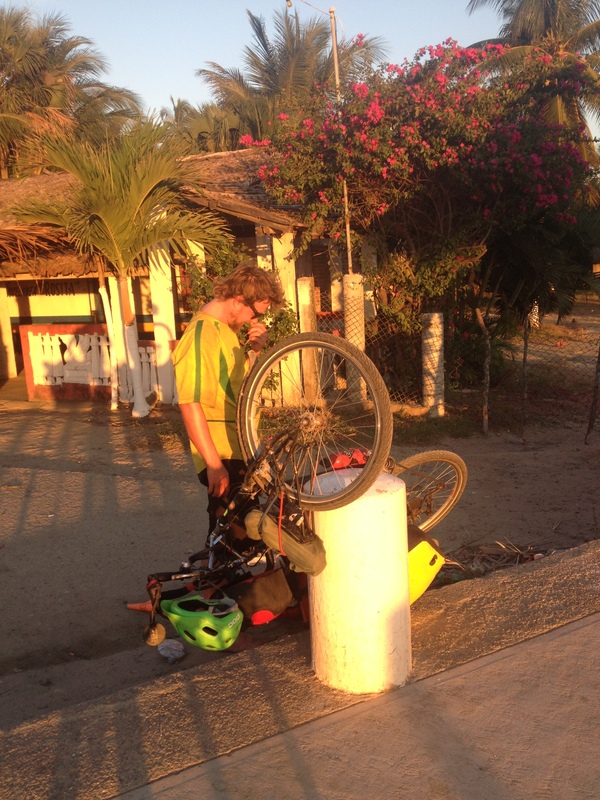 Arriving into Ventura, exhausted from 8 non stop days of hard riding, we found our Christmas home at Las Palapas, a hacienda owned by a local family. They don’t have any rooms, but we didn’t need them. We have our casitas (tents) and they had a backyard shaded with and endless supply of coco trees, an outdoor kitchen, bathrooms, a pool, and situated between the beach and a lagoon! The perfect Christmas location and a 5 star establishment by our standards. Knowing that we had 2 full days off the bike to relax felt great. When we get our rest days, we feel like Peter Gibbons from the movie Office Space, where we just wanted to do “NOTHING”, all day and it feels great! Christmas was awesome…Hen’s family traditionally celebrates on the 24th, where Ike and I have always celebrated on the 25th. So we are celebratin’ for 2 days! I cooked a feast like breakfast, and we lounged. We all washed our clothes by hand in a washboard and hung it out to dry…This was my first time washing my clothes by hand and it felt awesome! We spent the day hanging out with the little niños (Irwin, Edgar, y Yasmin) that live and work at the Hacienda. They were eager to play with the big kids and fascinated about the gear we have with us! Christmas dinner was great! I got the opportunity to make my specialty Carné Chili Verde for the dudes. The huge feast of food for Navidad marked the first time that these calorie crunching cyclists have had leftovers. We spent the rest of the nights sippin’ on cervesa and recollecting past stories. Christmas day, we all spent the morning cyber talking to all of our families and just living the good life. Not a worry in the world! We met another guest staying at Las Palapas that was there with his mother for Navidad. Cristian is a student from Mexico D.F that is studying in Guadalajara. He was a total chiller and psyched on our trip. He is proud of his beautiful country and wanted to ensure that we had a great time in Mexico, and bought us breakfast for our way our tomorrow! It was great to meet Cristian and spend part of our Christmas with him! 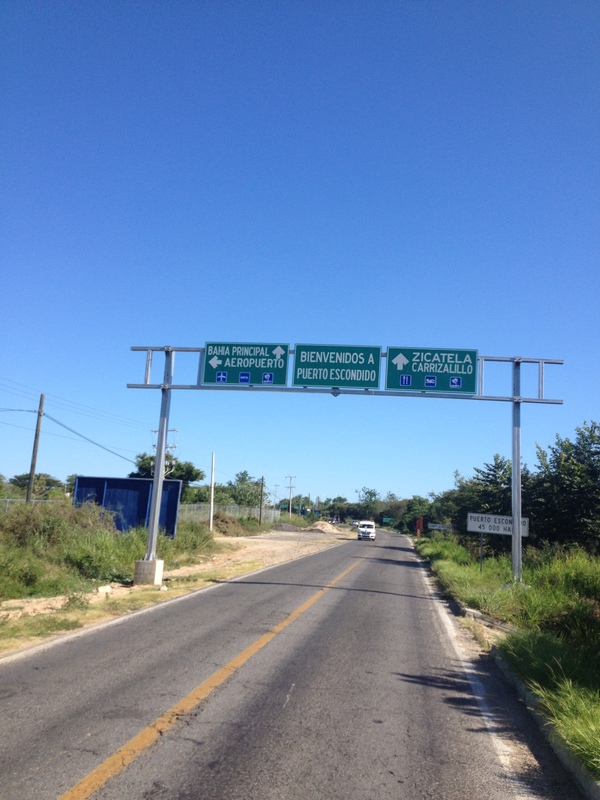 Leaving Playa Ventura felt great knowing that we have Puerto Escondido for New Years in sight. Creeping closer to the State of Oaxaca, we started by biking south through some winding countryside. Right at the border, we camped out at a farm right off the highway. Sleeping was impossible that night due to dogs barking incessantly, roosters crowing, Jake Brakes screaming, pigs squealing, and drunks yelling. In the morning we left asap and got back on the road. 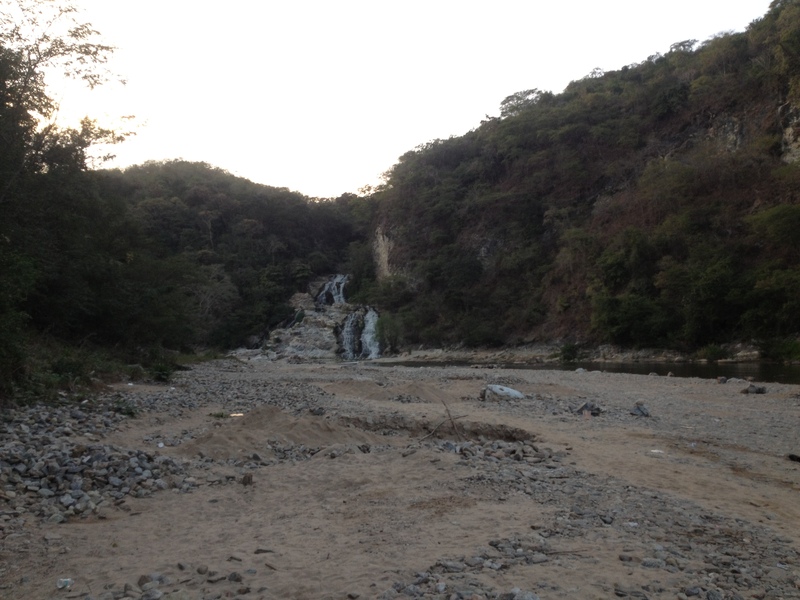 That morning we crossed the border into Oaxaca, and instantly saw a change in landscape. It went from wetlands and farmland to dry grasslands with a very safari feel to it. Stopping for a break outside a restaurant, we took the opportunity to the football around with some guys in the backyard. After swerving through traffic of the busy business hub of Pinotepa Nacional, we hit a big curvy downhill section! 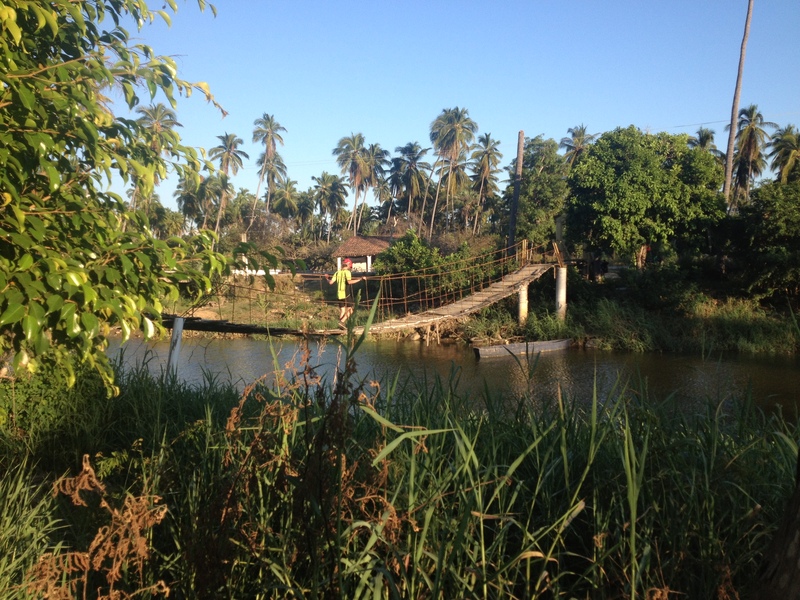 We crossing a river bridge, we took a dirt road riverside to search for camp. We knew we found it when we came across a palapa built of a river beach next to a cascading waterfall and a deep swimming hole! Taking in the morning, we went for a naked dip in the river and enjoyed 2 cups of coffee today as we prepped for the day…We climbed all morning through the mountains of Oaxaca until were stopped by a large line of dead stopped traffic. Working our way to the front to see what was going on, we saw the road block that had been made by locals who were hosting a political protest! Apparently they are unhappy with the current president and want him out of office. The road was stopped for cars but bikes were permissable. Cycling through traffic with the road stopped, we got to finish our mountainous climb without a worry of traffic behind us. The rest of the day was spent cycling through flat farmland, where we made camp in the front yard of a local water vender named Pedro. It felt great to have a gated campsite, riverside as well, which offered a bath for the evening. So we woke up in the morning with Escondido in sight for New Years. The ride was very casual and curvy as we pedaled the flat 70 km into Escondido. We pulled into our Hostel, the Tower Bridge Hostel, in early afternoon, exhausted from the road. But we were quickly stoked on the digs, with a shaded pool, bar, hammocks, a kitchen, and lots of people loungin around. This is definately the Hostel for us! With many travelers from worldwide, it should be a great hub for our New Years celebrating. Its off to the beach today and lounge around, checkin’ out what Puerto Escondido has to offer! I am sure it should be pretty wild. Thanks Heidi, the trip is amazing and in a week we will be in Guatemala! Hey Dad Happy New Year! So far we have gone about 3800 km which is about 2300 miles! Will be crossing the border into Guatemala in a week, where allegedly the mountains go straight up! Should be wild!